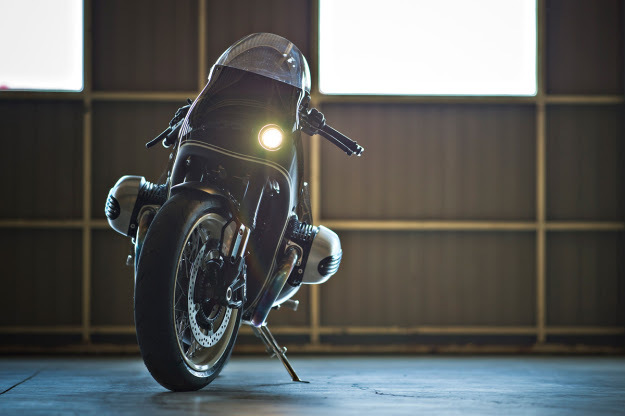 One of the biggest concerns for owners of new motorcycles wanting to customise their rides is warranty voidance. To tackle this many manufacturers now offer their own range of aftermarket parts which can be fit by dealers without affecting warranty terms. If you're wanting to swap out your mirrors or fit a new exhaust system then they'll usually have you covered, but if you're looking for something really unique you're going to be disappointed. 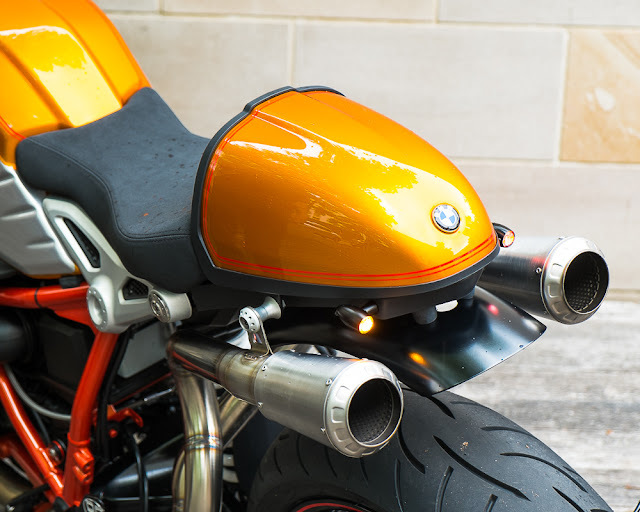 In Sydney, Australia motorcycle retailer and aftermarket parts supplier BikeBiz have taken things a step further. 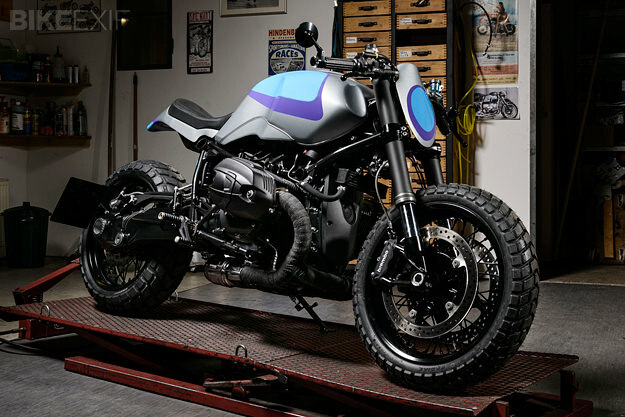 Leveraging their in house team of builders they've put together a radical BMW R nineT custom that's ready to order and completely covered. According to Mark Condon of BikeBiz “Our team really know their bikes, so depending on the customer we can give some direction on design and performance, supply a BMW and parts and let them build it themselves, or we can really get hands-on and custom-build the whole bike from scratch” With this bike the latter is definitely the approach that's been taken. Designer Alex Bianchini-Kometer teamed up with experienced BikeBiz builder Boris to put together the unique, on-request custom build for customers who are looking for something out of the ordinary. The R nineT which BikeBiz have aptly named 'Sun Kist' is their homage to the legendary BMW R90S designed by Hans Muth in the 1970's, and it's available by special order and comes complete with a full factory warranty. 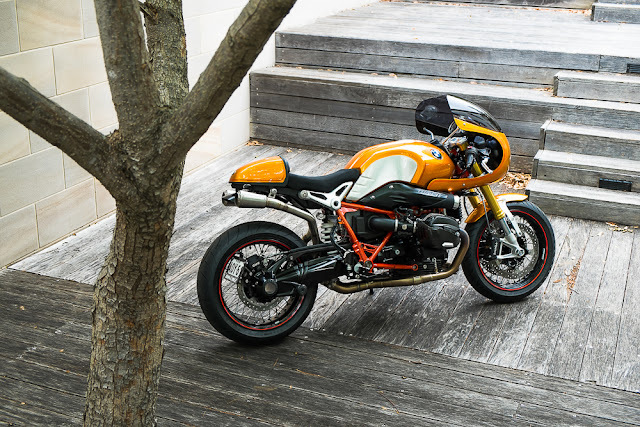 The Sun Kist R nineT features the unmistakable yellow to orange fade paint scheme of the R90S with additional red pinstriping. At the pointy end they've mounted a retro styled half fairing and in rear there's the R nineT optional Cafe Racer tail with bum stop seat pad. The frame has also been treated to a new candy red paint scheme and the stock wheels are pinstriped red to tie it all together. 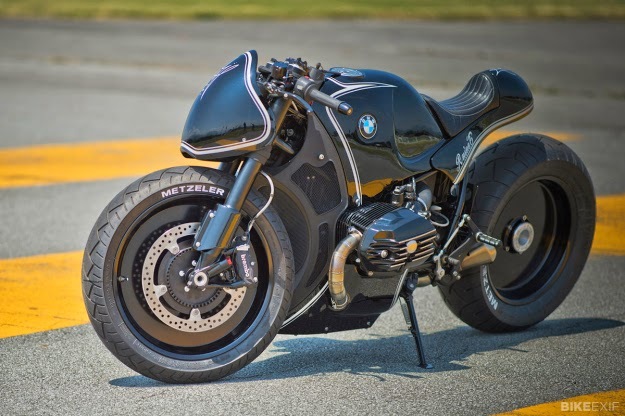 So as to not detract from that awesome paintwork BikeBiz have also blacked out a few of the nineT's parts and stripped those unsightly, Australian compliance reflectors from the bike. Lighting has been replaced by ultra small, ultra bright Rizoma items, but the dash remains stock, which isn't all that bad as it fills the space inside the fairing perfectly. A short rear fender has also been added and you'll get mirrors and chunky foot pegs from Rizoma. 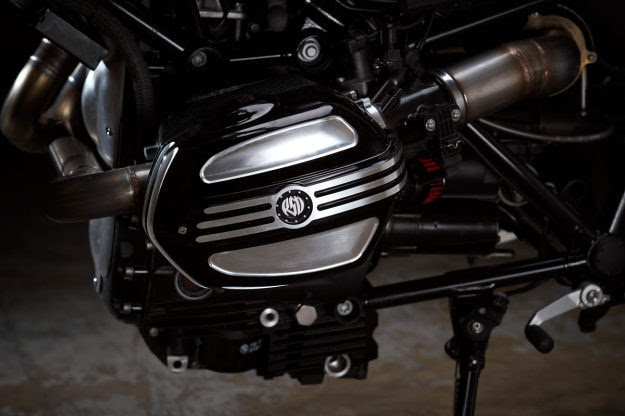 To finish the package off performance has been tweaked with the addition of a custom 2-into-1-into-2 exhaust system that exits through a pair of super short mufflers under the tail. If the R90S inspired Sun Kist isn't quite your thing the BikeBiz crew have also put together an M Series supercar inspired racer that wears a red and blue race livery. 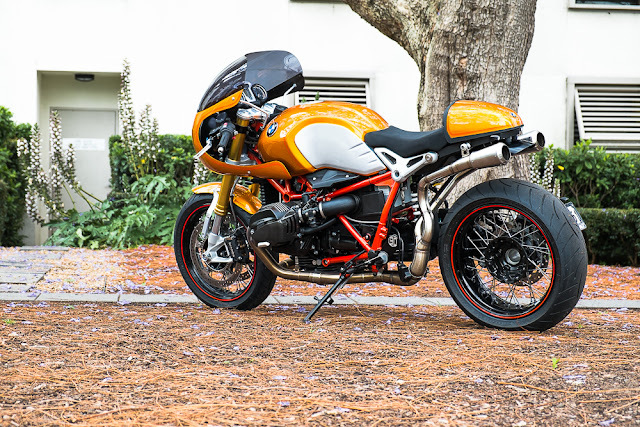 Prices are available on request, but with the R nineT's standard price of around $22,000AUD you can expect to slap at least a few grand on top of it. 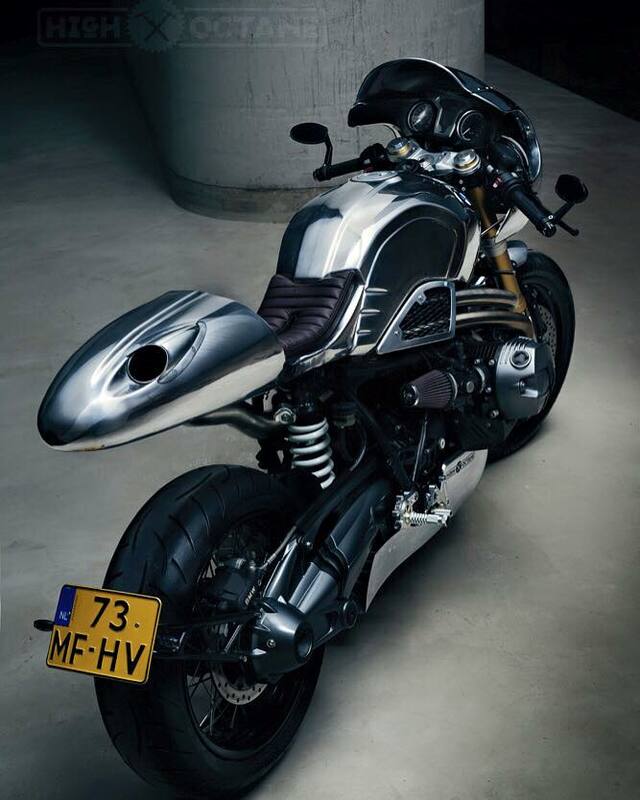 This year the BMW Hp nine-T bike design will be unveiled by BMW Motorrad Netherlands at the bikeshow at Rosmalen. BMW was surprised to hear I was already building the actual design for the BMW Soul fuel challenge myself in the garage. They were immediately enthusiastic about my other project bikes after seeing them in real life and felt confident about this build. Thirteen months ago, the first R nineT rolled off BMW’s Berlin production line. 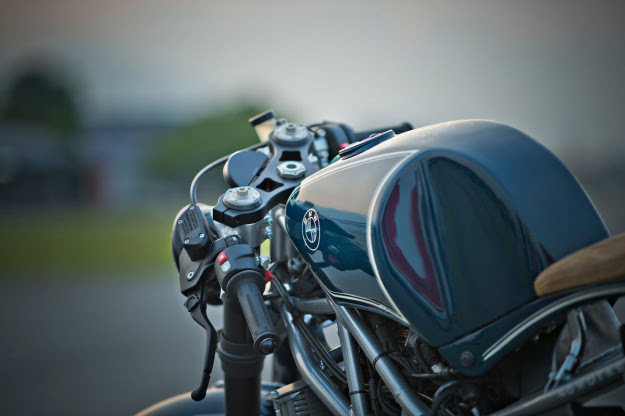 Since then, we’ve lusted after ‘official’ custom projects from leading workshops in Europe and Japan. 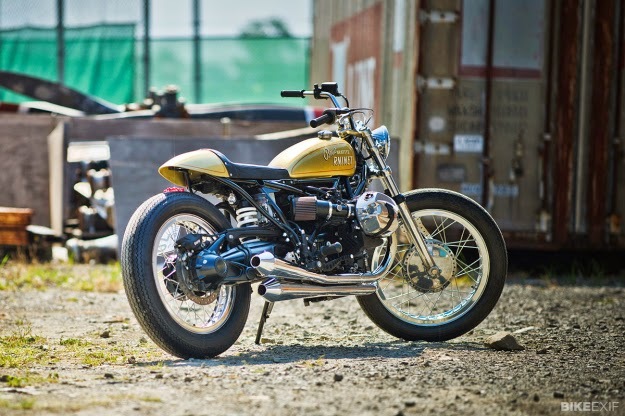 This machine, from Texas-based Revival Cycles and nicknamed The Bison, is one of the best yet. 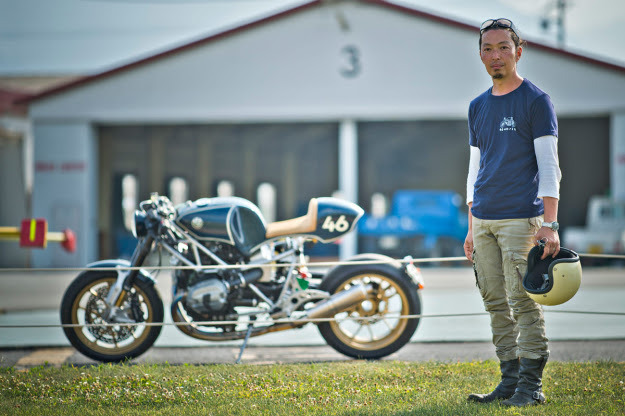 “The bike came to us with just over 800 miles on the clock,” says Revival’s Alan Stulberg. ‘The Bison’ now rides on Kineo wheels—custom-made for this machine in Italy—and the factory sport tires have been swapped out for more aggressive-looking Pirelli MT60RS rubber. To add a hint of classic BMW R90 S style, Revival have pinstriped the fuel tank—and added a Daytona half-fairing and aftermarket fenders from Wunderlich. The factory plastic undertail is gone, replaced by a custom alloy unit that holds a new LED taillight and signals, cleanly tucked under the stock alloy rear seat cowl. 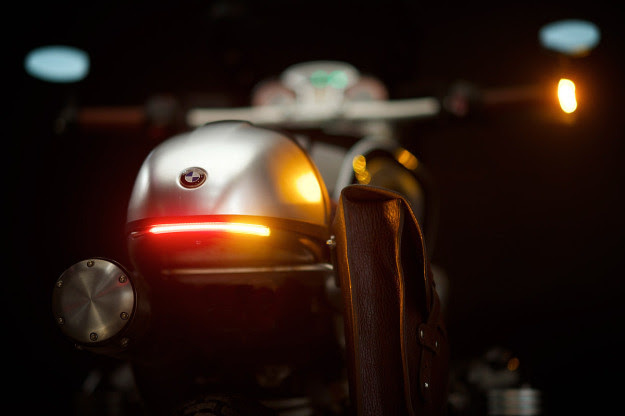 There’s a new license plate mount that bolts to the back of the swingarm and has its own built-in LED lighting. 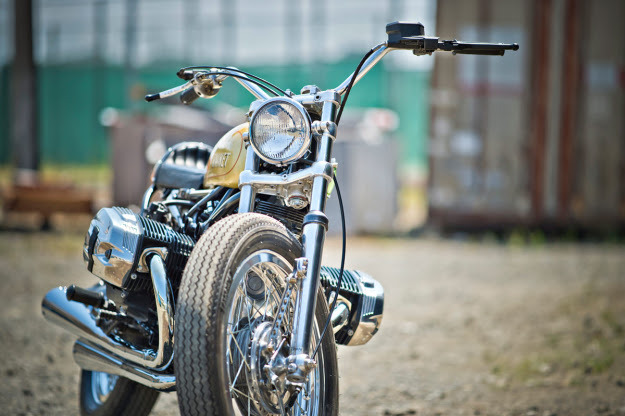 It’s not often that we get an insight into the minds and work processes of Japan’s custom motorcycle builders. The language barrier is simply too much. 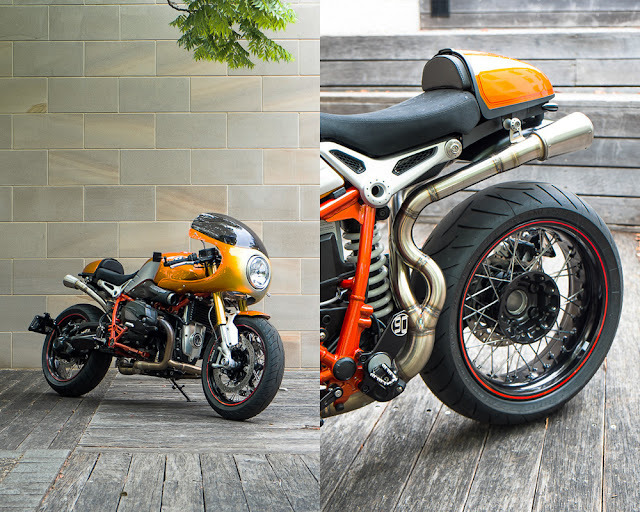 So we’re wrapping up our coverage of BMW’s R nineT Custom Project by interviewing the four builders involved. 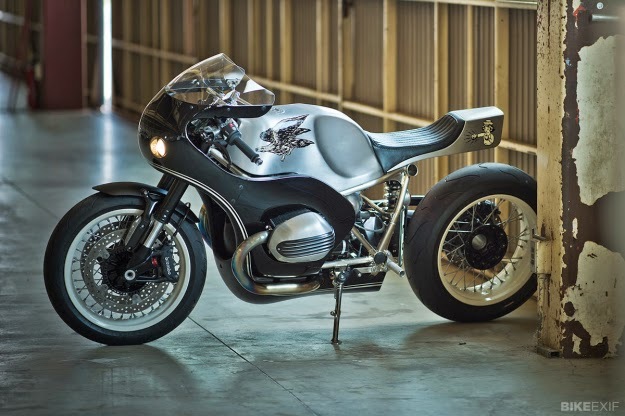 Although they’re at the top of their game—and undoubtedly some of the most proficient builders in the world—customizing the R nineT presented unusual challenges. After all, there’s a big difference between a modern motorcycle packed with electronics and a vintage Harley or Yamaha SR. 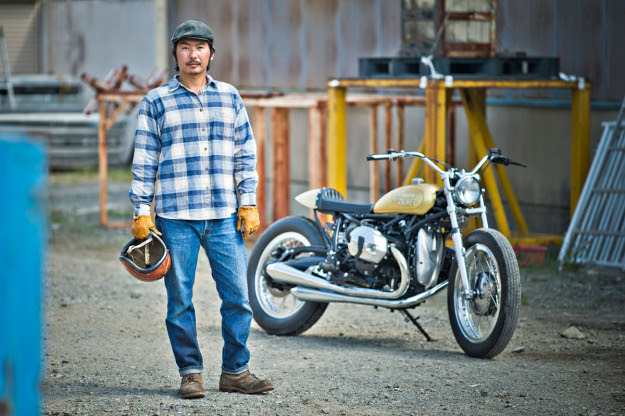 Thanks to motorcycle journalist Tadashi Kohno, we take a look at the obstacles faced by the builders, and how they overcame them. What aspect of the custom build did you focus on? I paid particular attention to the ‘drive’ it produces. So you could say I focused on aspects such as lightness, speed, and ease of operation. I think I have created a bike that would be enjoyable to ride on winding mountain roads. What was the most difficult aspect of the design and creation? The external design. Until this bike, I had only made one tank from aluminum plating and only one seat too—so I had little experience. And having to make everything by hand from scratch was the hardest part. After that, I made other components like the muffler and the rearsets: these are things I have previous experience with, and weren’t as difficult to work out. It was the external design and look of the bike that was difficult. In what areas do you think that you have been able to stamp your own individuality on the bike, in comparison to the standard R nineT? The standard R nineT is a great bike, enjoyable and well made. So my aim was to create a bike that would retain the great ride while adding more enjoyment and a good feel. The first thing I concentrated on was lightness—I haven’t added anything that would make the bike heavier. It is composed of materials aimed at making it lighter, without compromising performance. Although I haven’t weighed my bike, I would guess that it is approximately 30kg lighter than the standard R nineT. The rider can actually feel that the bike is lighter, simply by pushing it. I believe that lightness equals speed and a good ride, so that is the aspect that I gave most attention to. 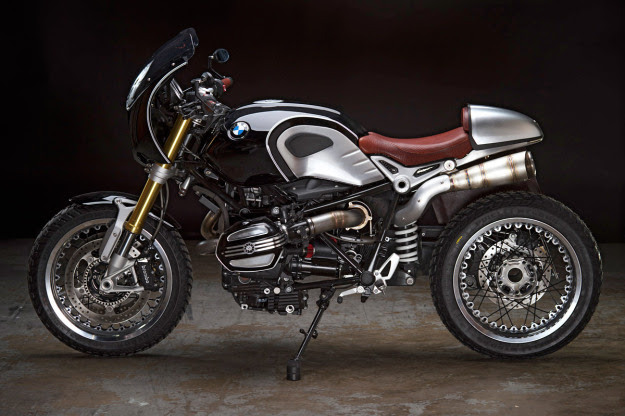 What was the R nineT like as the base for your custom bike? When I first saw the bike I thought that it would be difficult to create a custom build. There are many electronic parts, including computers and ABS units; I thought that it would be a difficult task to move and relocate these components. But I found that these parts could be removed and relocated, which made the work easier. 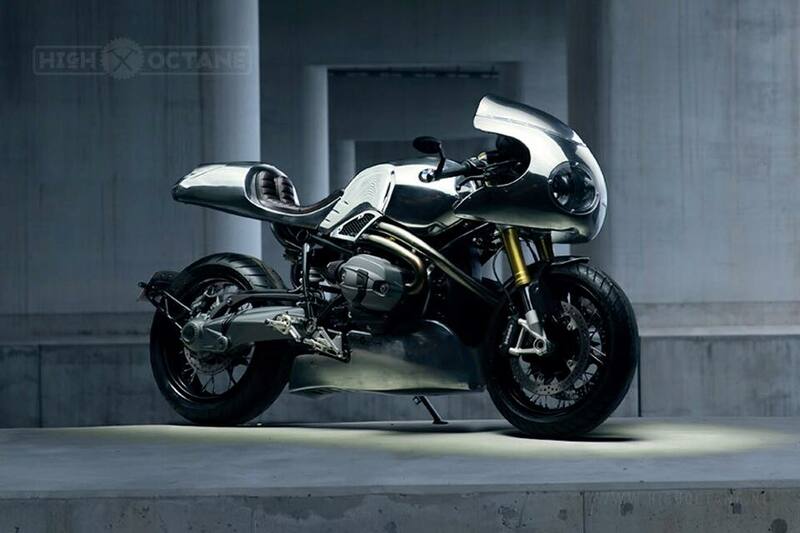 There were no aspects of the design that I compromised just because the R nineT is a brand new bike. Are there new bikes like this one that are difficult to work on because they are the latest models? 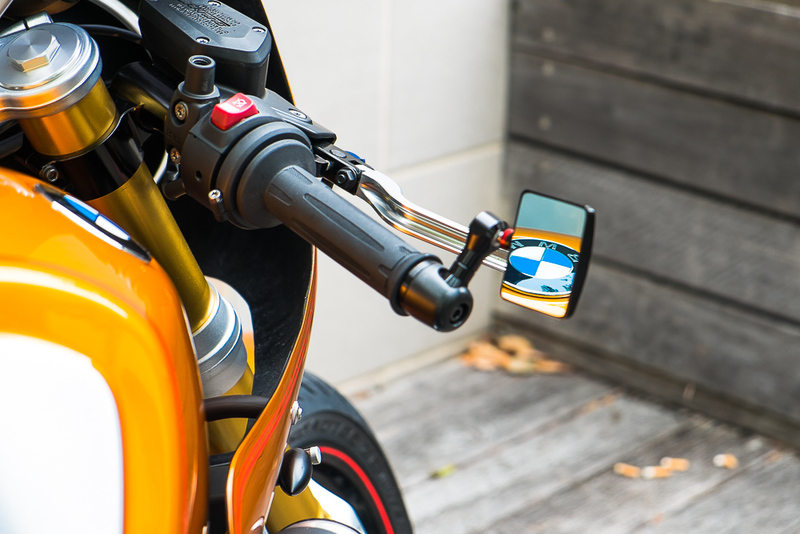 Most other BMW models employ the Telelever, which is different to a standard front fork and makes it difficult to decide on a style for a custom built bike. 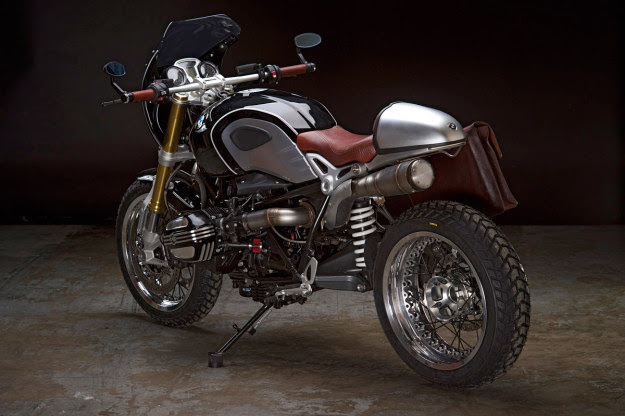 As the R nineT is a relatively orthodox bike, I think it is easier to customize in various styles. As a base bike it is fun to work with and gives you the freedom to achieve various designs. The most intensive work on the bike was in the later stages, but did you have an idea or vision for the kind of bike you wanted to create right from the beginning? Right from the start I had decided on a direction for the kind of style I was aiming for. However, our workshop moved to a new location, and it took time for the environment to be prepared to start the custom build. Right at the end I was rushing to complete the finalized bike. Even with only one day to go before the deadline, there is always something that you want to try one more time—or something that you want to tinker with. Have other bikes you have worked on been in a similar style? It is very unusual to be left to custom-build a bike exactly how you want to do it, without input from other people. It was also a unique situation with four people being asked to create their customized version of the same bike. I didn’t want to let myself down, and this gave me the motivation to do everything I could, and work on the bike right up to the deadline. What was the part of the process that caused you the greatest headache? I redid the tank in different ways, and asked for advice from people who are more expert in panel beating than me. In the end it was possible to create the tank and other components through a process of trial and error. How satisfying has this custom project been for you? If I had more time, there are still things that I would have like to have done. But this was work and not a hobby: I had to work to a deadline, and from that perspective I can say that this project has been really satisfying. What aspects of the custom project did you focus on? The line of the bike is the thing I particularly concentrated on. So that all the parts would come together as a unified whole, I worked to create a single body, bringing the tank, fenders, and fairing together. I designed the bike so that it would be in beautiful alignment when looking from front to rear, and focused particularly on the shape. I am satisfied that I accomplished what I set out to do. Was there anything that you found particularly difficult? I used a long piece of wire to devise the lines for the bike, placing the wire along the body to see how it would look. This process took a long time until I decided on the kind of line I would create. Was there a bit of guesswork involved in the process? The actual three-dimensional shape of the bike developed and evolved in my mind. I wouldn’t have been able to do anything if I didn’t have an idea in mind in the first place. For me, I usually imagine the finished product in my head before engaging in the actual work process. In an interview during the creation process you said that you were worried about certain aspects, and had lost sight of what you were aiming for. In the end, did you find that you were able to create the kind of bike you initially visualized? Yes, I was able to express the image I had in mind. Once the paint was applied I knew that I wasn’t wrong. I was very relieved. It’s a little bit strange, but there are always aspects of a project that you don’t know where to start. In the ‘production process’ interview you mentioned a theme that you had in mind. BMW Motorrad is approaching its 100th anniversary, so I was thinking about the bikes that BMW has created over the years. I then came up with a theme of the “near future.” After all, ten years from now would be the “near future” wouldn’t it? That was the starting point for the “future” theme. So what specific parts of your bike express a “future” theme? That’s a difficult question, hard to explain in words. For example, if the engine in the bike were to be replaced with an electric motor, it wouldn’t have a bad impact on the style of the bike. That is what I had in mind when I was designing it. I believe that electric motorbikes will become a reality in the future and I wanted to create a bike that would suit even an electric-powered machine. That was part of the theme I had in mind. 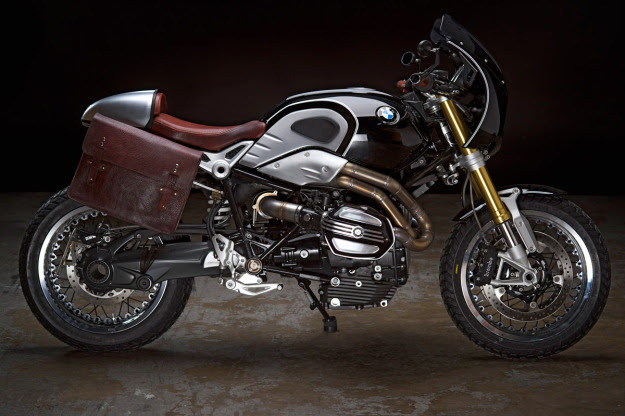 How is your bike different to the standard R nineT? The standard R nineT is a really enjoyable bike to ride, but I wanted to see if I could improve the position and also the appearance. I think that by changing the positioning, the ways that the bike can be used and also the ways to enjoy it have also changed a little. In changing the position, my idea was to make the bike into something sportier and more aggressive. The standard R nineT is a bike that makes you want to set out on a long road trip, but I think my bike is more for other times when you just want to “get up and go!” Neither of these images is better than the other, but I think that it is this image of wanting to set off and go that is different about my bike. 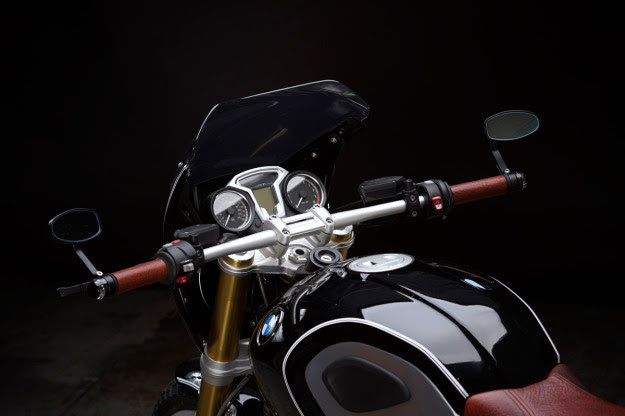 What was your impression of the R nineT as a base for customization? This was the first BMW I had ever customized, and although I didn’t think it would be easy, I didn’t know that it would be easier than other BMW models, because this was my first time to work with a BMW. Now that the project is over and I look back, I can see that there were parts that were easy to do. Although it’s difficult for me to speak about this as I don’t have experience with other BMWs to compare it with, the BMW bike was how I thought it would be. It was also perhaps easier to customize and reconfigure than other recent motorbike models. 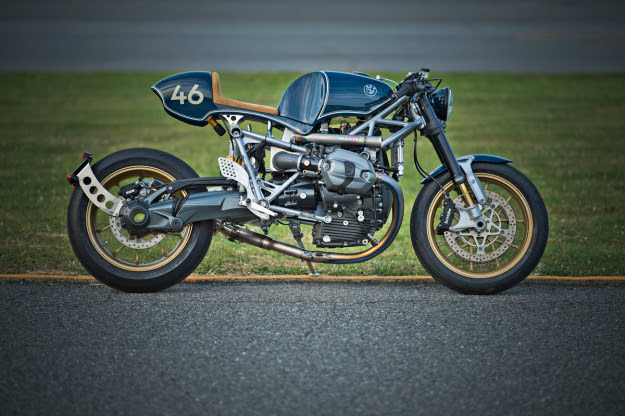 It was probably because the R nineT doesn’t have an electronic-controlled front fork and does not feature too many electronically controlled components, and the fact that the frame is expertly made that it was easy to customize and incorporate parts. 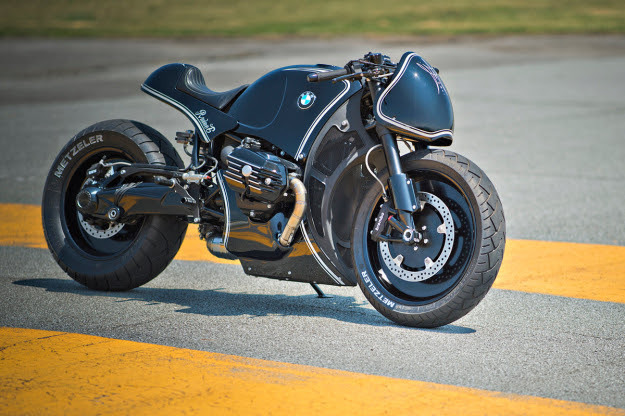 I think that among BMW bikes, it was probably an easy one to customize. What sort of presence do you think that your finished bike has? I think that in the end I have created something that is still a BMW at heart. 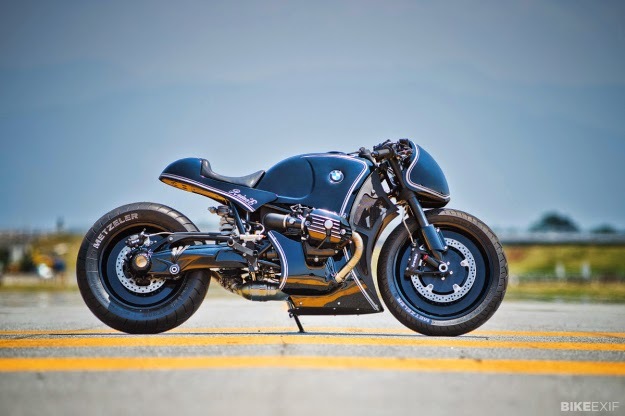 This was something that I kept in the forefront of my mind, namely that this was a BMW bike and that I couldn’t eliminate that “BMW feel.” However, if you ask me what it is that gives a bike its “BMW feel,” that is again something that is difficult to explain because it is intangible. That may be my own preconceived idea, though. However, I believe that my bike is one that is ultimately still recognizable as a BMW and I am pleased about that. Customization work is also for a customer and if the customer requires a touring bike, then you must create a bike according to that request. However, this time I made the bike for myself. I wondered what the bike would feel like to ride and I actually took it out on the road before it was customized, which helped me to identify the things I wanted to do with the bike and probably helped in the process of creating its final form. What name would you give your bike? It has a name. I have called it “Highway Fighter.” It gives it the image of burning up the highway and disappearing into the distance. What have you gained from this custom project? I have gained a great deal. As I noted in the “production process” interview, I realized from this project that I needed to renew myself and my ideas. And I thought that this project would be the kind of thing that would help me to create something new. After all, this was the first time I produced a custom design for a BMW. In that sense, although I am not boasting, I believe that the project was very important for me in that it has given me new choices for next steps and the directions that I can take from now have increased. I want to continue to work on custom projects as I feel it is something I must carry on doing. That was one of the really big results of this project for me. Would you like to take on a challenge like this in the future? Yes, if something came up, I would. If a BMW customer came to me there would be no reason to refuse. I think that before this project, if someone had brought a BMW motorbike to me, I would have refused the job because I had no previous experience. 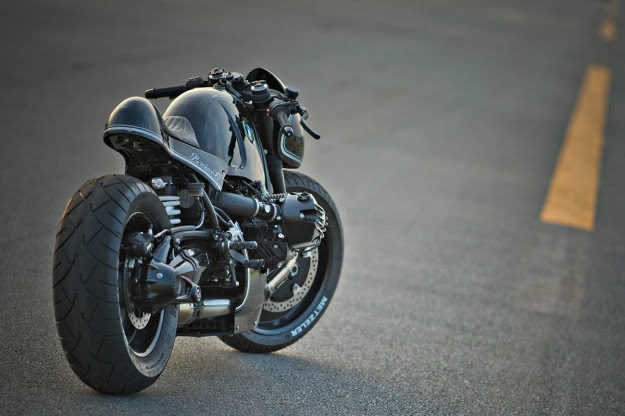 From now on, if someone were to give me the chance to customize a BMW bike, I would be delighted to accept! What aspect of your bike did you focus most attention on? The aluminum tank. I wanted to show the aluminum in its natural state, without painting it. I therefore had to beat out the shape—this was the task that was most difficult, and caused me the greatest trouble. 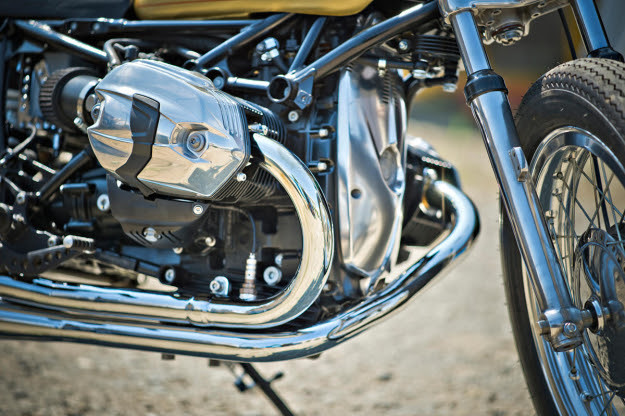 So is the aluminum tank also the key characteristic of your bike? It was a case of self-gratification really. But in my image of the completed bike, I wanted to show the aluminum. Is it difficult to show the tank in its raw and natural state? If you paint the tank you can cover any slight deformations by creating an undercoat from putty, and then sanding the tank down to make the surface smooth. With a natural aluminum tank this is not possible, so you have to beat out any deformations from the inside to create a smooth surface. That process is really difficult. The tank can become distorted or lose its symmetry, so the work to create the tank is a real headache. It took a month to complete. I had to think carefully while I was creating it. Would you say that this is the prime characteristic of the bike you have customized? Yes. Although the overall shape and form of the bike has its own individuality, on any bike it is the tank that your eyes naturally go to first. The fairing also caused me difficulty: to create the base shape you use wire, which you then spray with urethane foam. After that, you sand it down to the shape you require. And if you sand off too much, you can easily go back and do it again, or add a little more volume where required. Although it takes time, it is a job that anyone can do. In contrast, the aluminum tank requires technical skill. That is the difference, and that is why I selected the tank as the main characteristic of the bike. What differences have you have been able to express with your custom bike in comparison to the original R nineT? With a customized bike anything is possible. And as you can see with this project, four very different bikes have been created under the same conditions and in the same time frame. The original bike was easy to reconfigure, but the most significant factor was that we were free to do what we liked with this custom build. In truth I don’t know what the ride of my bike is like, as I haven’t had the chance to ride it that much! 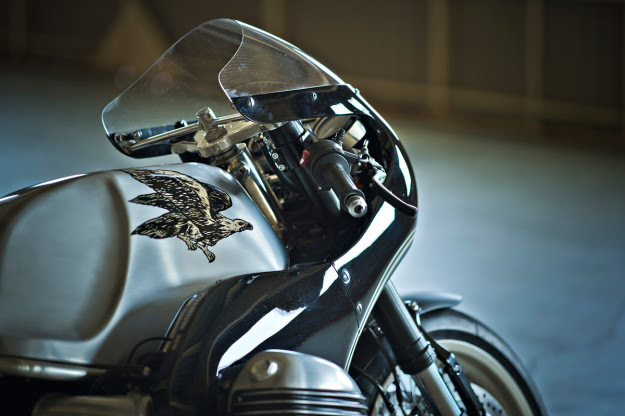 It is largely Harley Davidson bikes that tend to be customized. 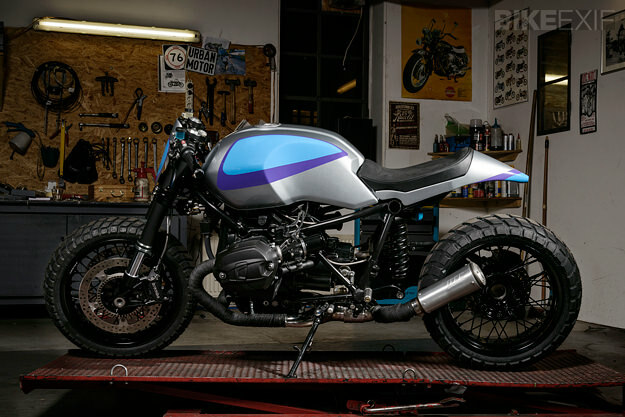 What was it like to work on the R nineT as the base for a customized bike? It was a really good experience. Harleys are rather unsophisticated aren’t they? 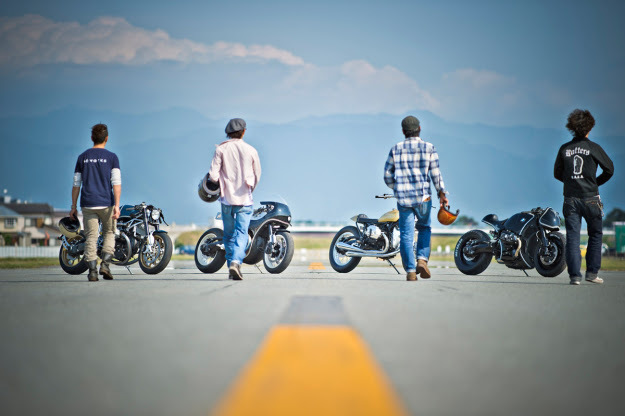 [Laughs] I don’t think I’ll be allowed to use a Harley if I say this, but if you spend between 100 to 300,000 yen on a custom project on a Harley you can improve the areas that the manufacturer left a little rough around the edges—and make the bike better and more stylish. But the standard R nineT is already extremely well made, and there aren’t many things that have been overlooked or need tweaking. It’s already a very stylish and good-looking bike without being customized. So the challenge is to consider what you can improve, or how you can make it look better with a custom build. That is the concept I was working on for this project, and in that sense I don’t think that it has been a normal custom build project. How did you find working on this project with its limited time frame? Have you done everything you could have done? I did everything I could until there was no more to do. The only thing left is to actually take it out on the road, and give some attention to the ride itself. In terms of the custom build I don’t think there is anything left to do. What sort of presence does your finished bike have? I was thinking about where we go from here. If it was my own bike, I would take it out to fine-tune the ride and ensure that it was enjoyable. I would be looking to make adjustments—such as the suspension settings—and make sure it is a bike that is in tune with my own body. That is the way to boost the enjoyment of the ride, and increase love for your machine. Has this project provided you with a good experience for future custom build projects? I really racked my brains to make this bike. Sometimes, when you open up the drawers of your mind, you find that there is nothing there. This project was one where I had to delve deep into my mind and draw on my experience, and it has given me great motivation for my next custom project, and the kind of bikes I would like to build in the future. In that sense it was a truly great experience. What aspects of the design did you concentrate most on, and what are you most satisfied with? I wanted to create a normal bike for riding around the city. So I focused on creating standard parallel lines that would not look unusual if the bike were to be lined up with the SR and SX bikes that we often deal with at BratStyle. What aspects did you find difficult? 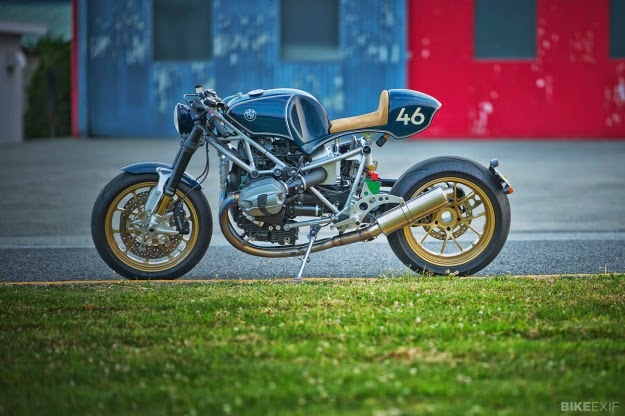 As the frame of the R nineT does not lend itself to the kind of parallel lines I was seeking to create, that was the aspect that I spent the most time thinking about. Do you create a customized bike based on gut feeling? Yes, I work from instinct. But there are times when instinct alone does not go as well as you thought. 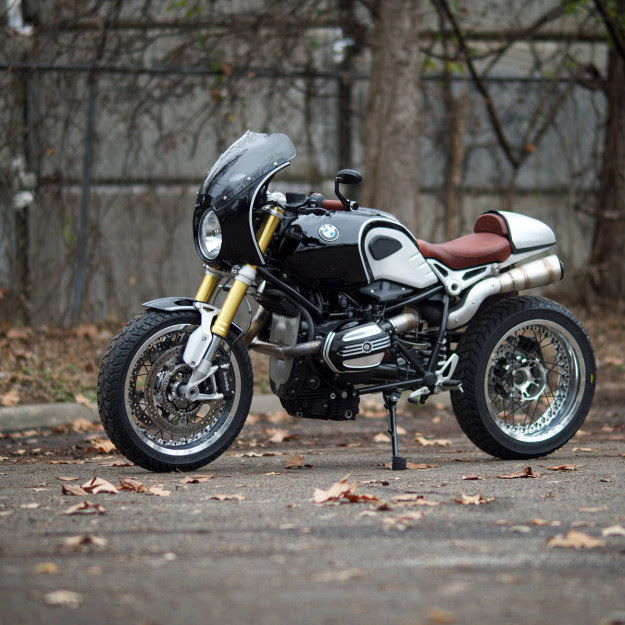 How is your bike different from the standard R nineT? At a glance I think that my bike probably looks like an older bike. I have changed the size of the tires, and the external look is entirely different. I think I have achieved an interesting feel that mixes both new and old. What is the ride like? The ride has become lighter. I think that the standard model is easiest to ride, but you can have a good time on this customized version too. 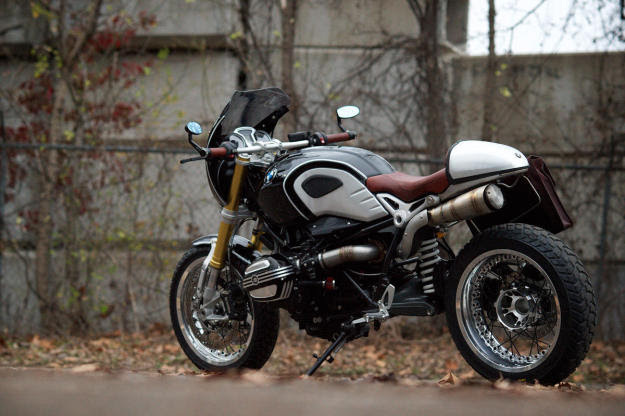 What was the R nineT like as a base model for customization? It wasn’t easy, but it provided a challenge that increased my passion for the project. What aspects did you intend to show in your bike? I wanted to create a bike that you would normally ride around the city. Although I have customized many parts, I didn’t want them to be obvious. My aim was to create a normal city bike, not a show car. What specific things did you find difficult? When you start taking parts off, you realize that there are quite a few that aren’t particularly stylish or good-looking. I disguised these parts with pipes and adjusted the length or width to find a balance that I liked. I originally had not intended to change the front fork, but in the end I changed it for a standard upright fork. 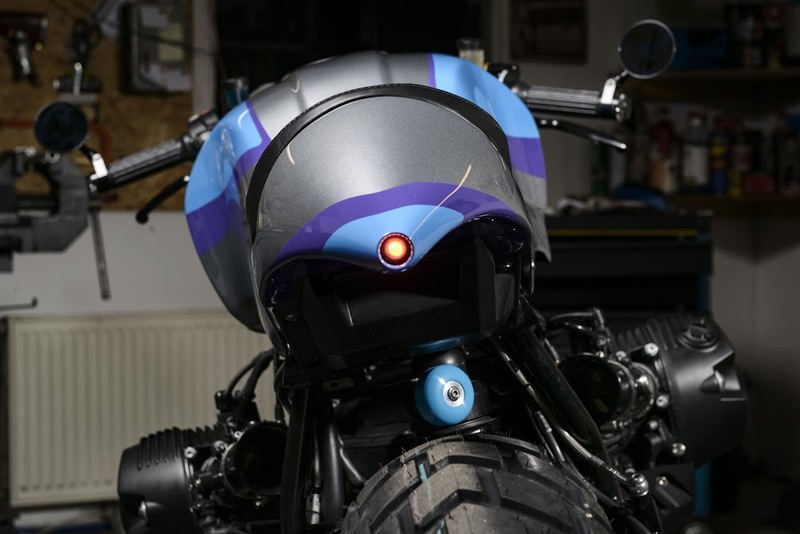 Through this project you got to customize a bike that you would not normally handle. Has the process changed you in any way? I have learned a lot and would like to do more of this kind of work on new bikes. It was a really interesting project. 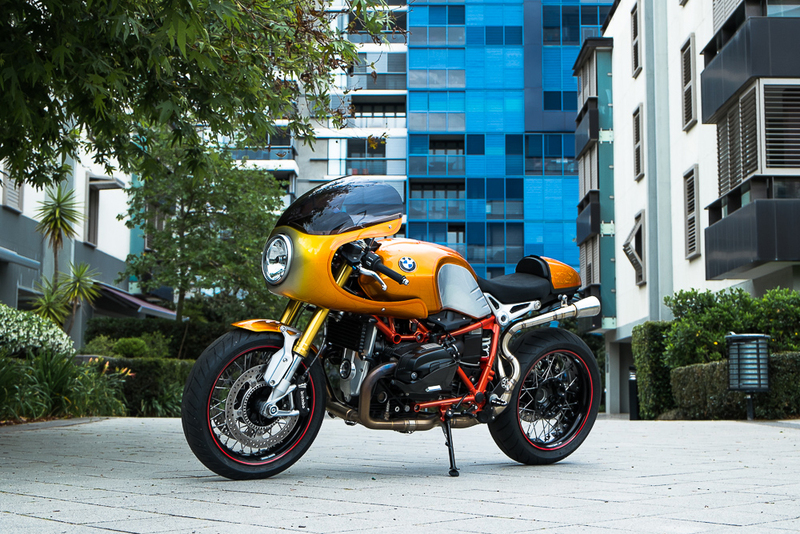 You have said that the ride of the standard R nineT is best, so what is the attraction of a custom build? I like that I can make a bike that you won’t find anywhere else. I make them so that this unique aura shines through. Although there may be aspects that aren’t as good as the standard model, I think it is good for bikes to have an original feel to them. What do you think about the bikes created by other builders? They’re all amazing—the character of each person really comes through. 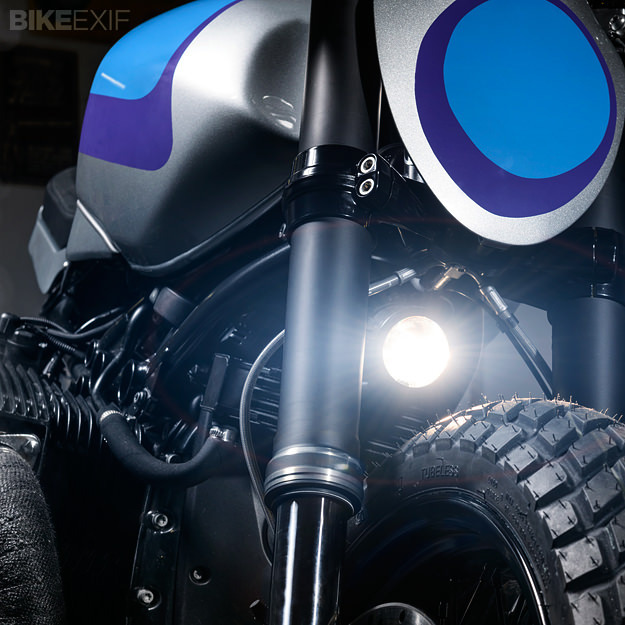 To see the builders’ detailed project diaries, visit the official R nineT Custom Project website. For more images of the custom builds, check out Part 1 of this coverage. The post R nine T Custom Project: the builders appeared first on Bike EXIF. appeared first on Bike EXIF. 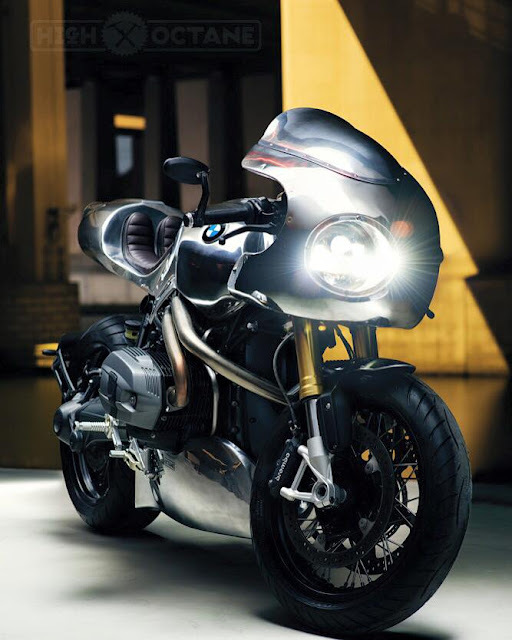 The most audacious motorcycle launch of late has been the BMW R nineT. Who’d have thought that the clinical Germans would reveal a naked boxer with built-in options for customization? Even better, Ola Stenegärd’s design team have wasted no time in delivering pre-production models to selected custom builders. 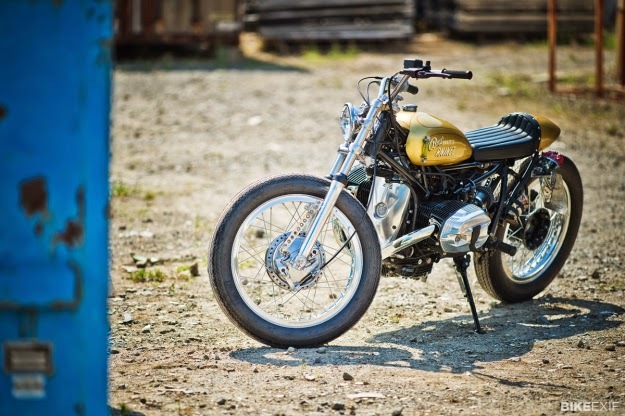 Here’s the first cab off the rank: ‘Track Grinder’ from Berlin-based Urban Motor. 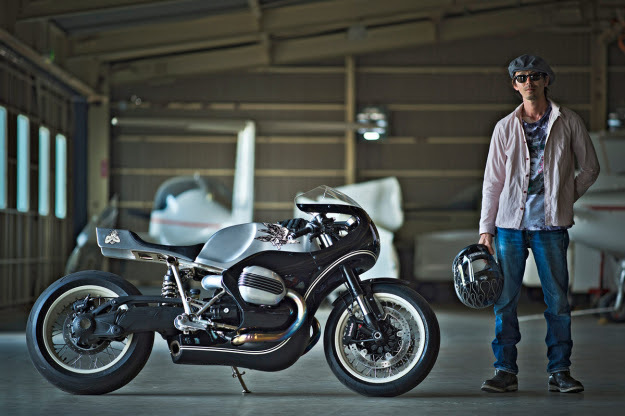 Urban Motor’s Peter Dannenberg was one of three custom builders invited to test-ride the R nineT in Spain a few months ago, before the launch—and even before any journalists got to see the bike. 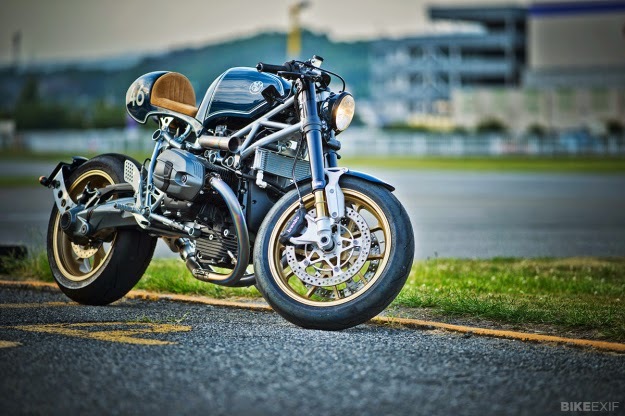 “While sitting around the camp fire, we developed the idea that each builder should customize a nineT,” he explains. 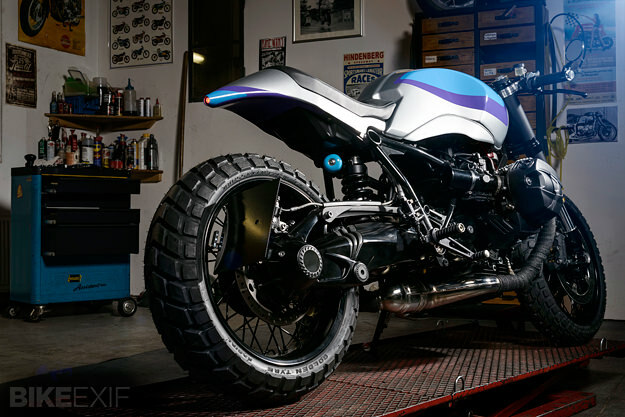 And here’s the first result: a nineT reduced to the bare essentials, with a splash of color on the simplified bodywork and a dash of flat track style. With 110 stout German horses on tap, the engine has been left alone. But almost everything else has been modified. 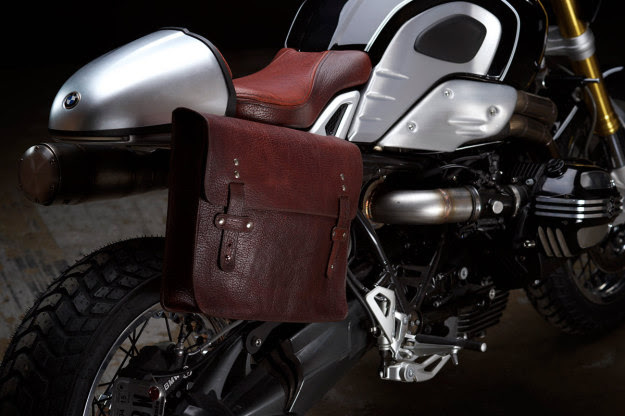 The modular look of the stock gas tank has been simplified to great effect, and it now flows into a custom alloy tail and seat unit with leather upholstery. Behind the race number holder is a tiny ellipsoid 50mm headlight. The clutch and master cylinders are Brembo upgrades and there’s a smattering of high-end Motogadget parts throughout—including Motoscope Pro instrumentation (fully adapted to the BMW CAN-Bus system), m-Blaze Disc bar end turn signals, and an m-Lock digital key/transponder system. Up front are classy Gilles Tooling clip-ons and a Domino throttle lever, and down below are Tarozzi pegs and a stubby Supertrapp exhaust system. The blacked-out wheels are shod with dual-sport GT201 rubber from Golden Tyre, the Italian company best known for its motocross tires. It’s a striking start to BMW Motorrad’s new custom program. We’ll be keeping an eye out for future R nineT customs from the other builders over the coming months, but in the meantime, head over to the BMW Motorrad website for all the details on the production R nineT. Or check out Urban Motor’s other builds here. Images by Tim Adler Photography. 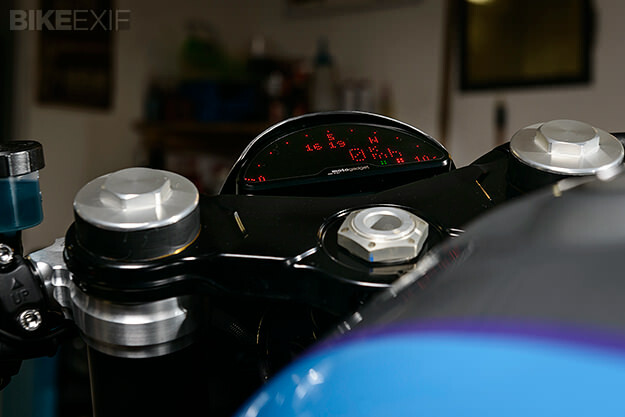 Head over to our Google+ page for more hi-res shots and the chance to examine the bike in detail. 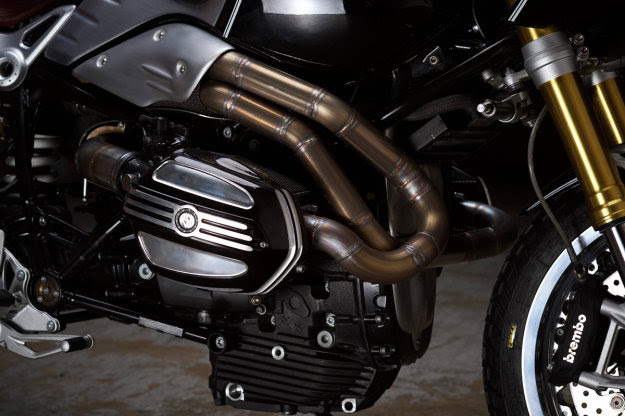 The R1200T gets BMW’s new water-cooled boxer motor. As one would expect from a german company like BMW, updates come in a very logical manner, at least when it comes to the R range. New Boxer motors always appear in the flagship GS but then trickle down the range over the next few years before reaching the end, and then up pops a new motor. Second in line in the R throne is the R1200RT tourer which now comes with the new liquid cooled motor and has a new hill starting doo-dad and electric gear shifter for those too lazy to do either. Honda has also been busy, with an update to the CBR1000RR (does anyone remember when those were happening every two years?) that boasts more power. What’s more surprising is their new track-orientated SP version with Öhlins suspension, four-piston Brembo monobloc brake calipers, a revised frame and new top and bottom steering yolks with less flex. There’s also a long-awaited update to the VFR800 which essentially has remained untouched since the V-TEC addition in 2002. No word on whether the V-TEC remains but there has been a boost in power and a significant drop in weight of 10 Kilos. Might be a good opportunity for Honda to bring it back into Canada. The Z1000 is back, with new looks. Kawasaki also updated their Transformer styled Z1000 to make it even more Transformer-like, Yamaha added some tweaks to the motor on its Super Tenere as well as a ZE version with some additional trinkets including electronically adjustable suspension. Oh and as we mentioned earlier, Triumph made some more variations of its big cruiser Thunderbirds. The Zero SR has more range and more power again. Their bikes get more and more competent. The knock against battery bikes has always been limited range. Zero continues to tackle this problem; now, they’ve announced updates to their lineup (an optional add-on battery pack) that will enable riders to get a claimed 275 km of city riding; combined city and highway riding will get you as much as 210 km. Cruising around 90 will get you a 170-km range, and cruising around 110 will get you around 140 kms of range. At least, that’s what Zero claims – we’ll wait until real-world users start posting their results before we get too excited. Still, this is an important step forward. Every year the Zero lineup adds a few kilometres of range, and hopefully one day they’ll be competitive with gasoline bikes, as long as costs are reasonable. Sure, the upcoming 2014 models are exciting, but what’s coming down the pipe long-term? Well, a couple interesting concept machines were shown off at EICMA, including a new supermoto from Husqvarna. The Husqvarna 701 prototype shows the company hasn’t forgotten their supermoto models. 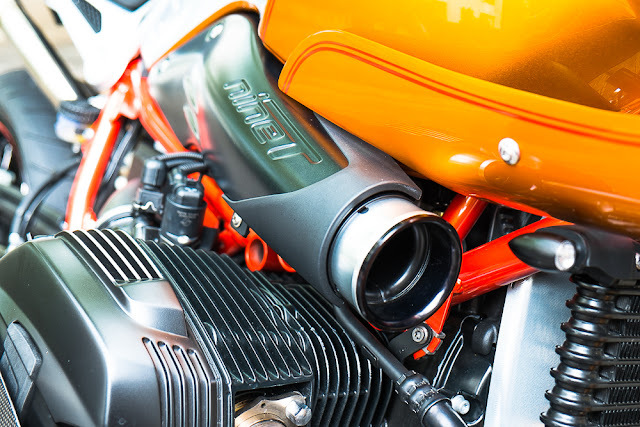 Husky’s future in street bikes was in doubt after their sale to KTM president Stefan Pierer, but the company appears to have a return to basics in mind. For years, the only street bikes they made were supermotos, and the new 701 concept follows that vein. Sure, it’s got trick bodywork, LED headlights and other trick parts, but it really appears to be a dirt bike with street tires at heart. The Yamaha Tricity scooter concept will make it to production. Will the 701 make it to market? It’s tough to imagine Husqvarna not bringing their supermoto lineup back, especially after seeing this, although we’re sure the street-legal models will be neutered versions of the concept, as always. Yamaha had the other most interesting concept, the Tricity scooter. Basically, it’s a leaning three-wheeler, similar to existing machines like Piaggio’s MP3, but cheaper and lighter with a 125 cc motor. Yamaha actually says they’re going to bring this to market, with a projected cost of 4,000 Euros across the pond. And let’s not forget the quirky Brits! 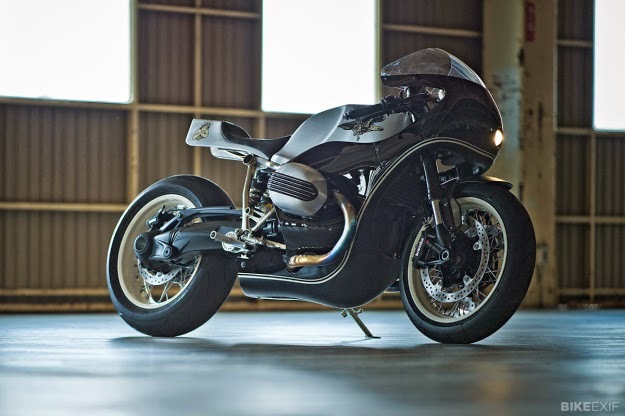 Some firm has decided to resurrect Brough Superior, with an undated Steam Punkesque interpretation of the SS100, all for a mere 100,000 Euros, and British car makers and Formula 1 race team, Caterham, has decided to try its luck with bikes, introducing three models, one gas-powered and the other two electric. While they’re all on the quirky side, we haven’t seen any real quirkiness since the market went south with everyone’s cash. Surely a sign that good times are a coming, even if they’ll likely never go on sale in North America. The Caterham Classic E-Bike has a faux V-twin motor and a very short range.